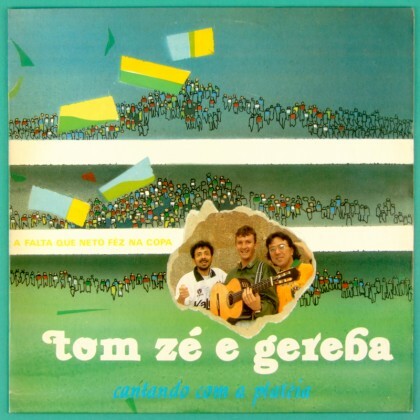 TOM ZÉ E GEREBA (PLUS NETO) - "CANTANDO COM A PLATÉIA" (A falta que o Neto fez na Copa) - Recorded alive on Theather Caetano de Campos - São Paulo / SP in june, 1990. This show was for a project denominated "Projeto Adoniram Barbosa". Beautiful Copy, UNIQUE pressing from 1990 on a INDEPENDENT label (Private Press). In this show there was also a music protest because Neto, a Corinthians's soccer player, to have not been selected to the Brazilian Scretch for the World cup of 1990. ESSENTIAL for Tom Zé collectors! Extremely RARE — certainly it is the Rarest album recorded by Tom Zé! 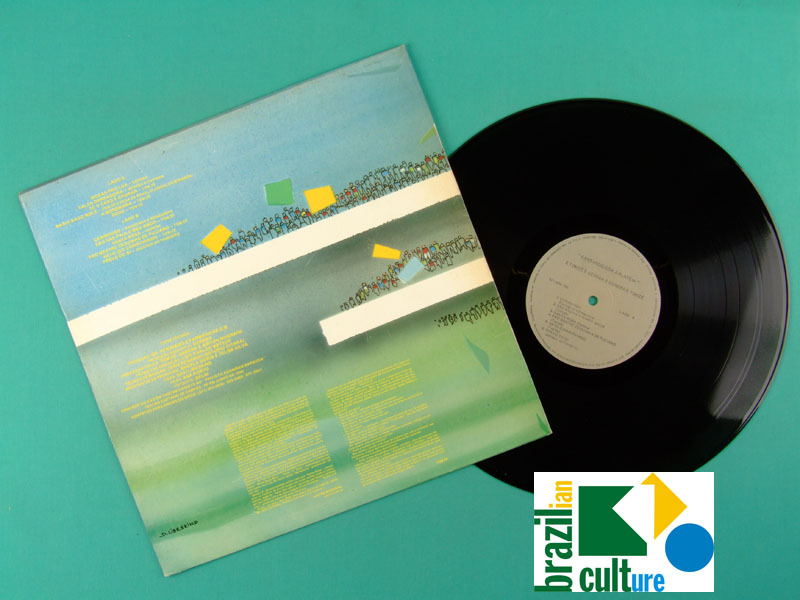 EVEN IN BRAZIL NOBODY KNOWS THIS RECORD!! — It was recorded alive on a TASCAM K-7 tape Recorder. There is a lot of tape hiss. But the SOUND is PERFECT! Fortunately, the signal was routed to tape recorder direct from the mixing console.